“Words are single units, but together they astound the mind, increase creativity, and bridge gaps.” This philosophy is Ms. Wong’s sole purpose for being an educator. She believes in the power of language and desires to motivate and guide students towards discovering the joy that is found in the college admissions process. Ms. Taylor’s approach to the college planning process is frequently described as empathetic with high expectations for her students. She has successfully navigated the college admissions effort for her own three children and knows firsthand the challenges parents face when managing the application process for their high school students. Ms. Taylor received an MBA from The Wharton School at the University of Pennsylvania in addition to a B.S. from the University of California, Davis. Her first career just out of graduate school involved corporate management spanning marketing, communications, sales management and business development roles; she launched new pharmaceutical products, in-licensed technologies and developed and managed large sales teams. While in these corporate roles, Ms. Taylor has always been involved in her communities by serving on nonprofit boards committed to youth development. Pursuing this passion further, Ms. Taylor then chose to apply her business training to senior level assignments in higher education. 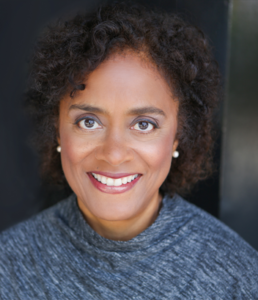 She is the former Senior Director of Admissions at Santa Clara University, former Chief Operating Officer and Vice President of Enrollment at Presidio Graduate School and was also a college admissions reader at Stanford University. Having reviewed over 6,000 personal applications and interviewed over 500 candidates for admission, Ms. Taylor has extensive and exclusive insight into the college admission standards of top universities. She now shares these unique insights with parents and students who are looking to be highly competitive in today’s college applicant pool. She works with her students to create outstanding essays with intellectual depth, to prepare cohesive college materials that reveal who they truly are and to present exceptional college applications that highlight students talents. Ms. Taylor works with high school students with varied profiles including those who are scholar athletes, students who will differentiate their application with portfolios, young adults who seek highly selective admission and those applicants who plan to seek colleges where students with solid B academic performances thrive. When Ms. Taylor is not working with parents and students, she can be found hiking through local Bay Area trails with family and her three adult children, enjoying a quality cup of coffee, and pursuing her work on the non-profit boards of Hidden Villa in Los Altos Hills and the Palo Alto Family YMCA. Energetic, passionate about education, and personable are qualities that Ms. Wong is well-known for among her student and parent community. Ms. Wong graduated from the University of California Irvine where she received a double B.A. in English and Psychology, in addition to a double minor in Education and Linguistics. Soon after, she decided to obtain her Master’s degree in Education at UC Berkeley. Ms. Wong also earned her Administrative Credential at San Jose State University. Ms. Wong has been part of the faculty at Mission San Jose High School where she taught 9th and 11th grade Honors and College Prep English from 2003-2013. In Fall 2016, Ms. Wong returned back to the classroom at Mission San Jose High School to continue sharing her passion for literature with high school students while also running Mill Creek Academy. Ms. Wong completed her College Admissions Counseling Certification from the University of California, Los Angeles where she graduated with academic distinction. Having so many years of experience teaching high school students, Ms. Wong knows exactly how to approach students who are still trying to discover themselves. Having commented and evaluate thousands of essays through her career as a high school English teacher, Ms. Wong knows how to help a student find “their story.” With her experience, she makes the college application process exciting, inviting, and fun! 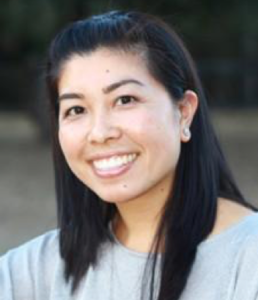 Ms. Wong was named 2003 NUMMI New Promising Teacher of the Year for Fremont and recently received the Dorothy Wright Award for Outstanding High School Teacher from San Jose State University in 2011 and 2012. In her almost two decades of Education experience, she has taught and guided thousands of students through their academic achievement and college admissions process while working on an average of over 500 college applications and 700 college essays each Summer.